Summer brings with it a lot of great things… fireworks, swimming, barbecues, and more. APCON workers with dump truck repaving in a residential neighborhood. The Better Business Bureau put out a helpful article that we thought we’d share regarding these prevalent and pesky asphalt paving scammers. Take heed of the BBB’s precautions and be sure to alert others who may be susceptible. Asphalt repairs should be handled by the pros and not a Joe Shmoe off the street. Unfortunately, we’ve heard of far too many victims who have been burned by unprofessional paving scammers. There are plenty of great paving companies out there that this shouldn’t happen to anybody else. With all that said, enjoy your summer… and your driveway! P.S.- Need to fix up your asphalt or concrete driveway? Associated Paving Contractors serves the Philadelphia metro area and we would be happy to hear from you about your paving needs. 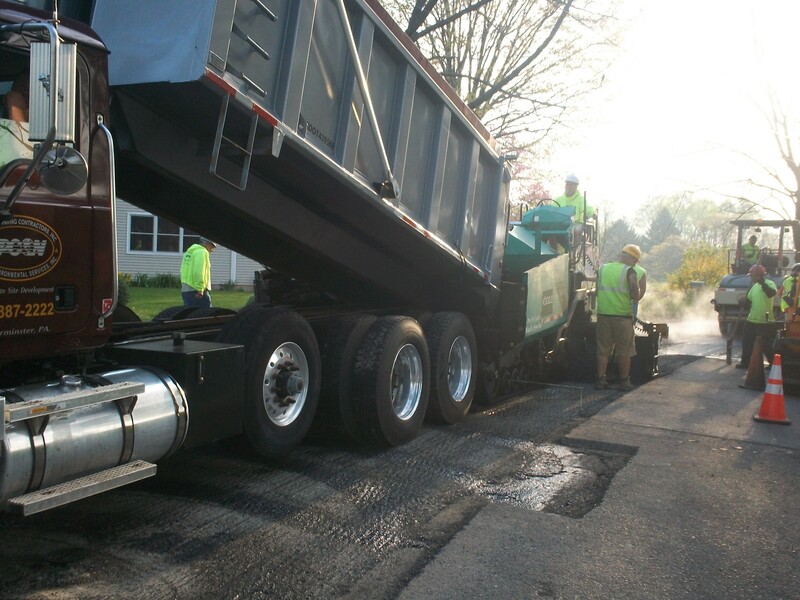 Please feel free to contact us at 215-672-8000 or info@assocpaving.com. Thanks!